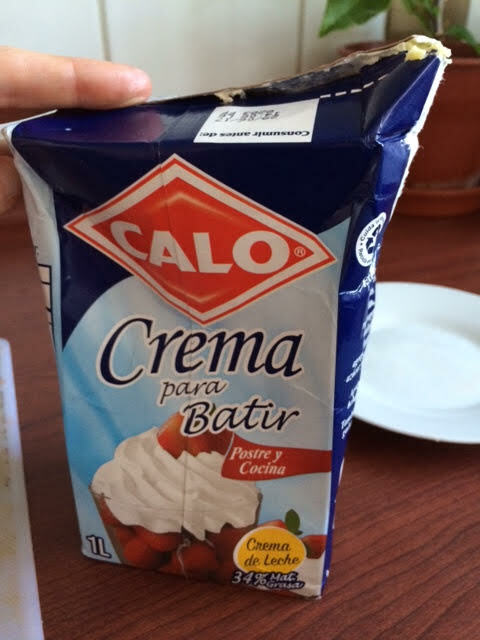 I mistakenly bought this — ONE LITRE of PRE-WHIPPED CREAM– in a tetra pack, instead of milk! 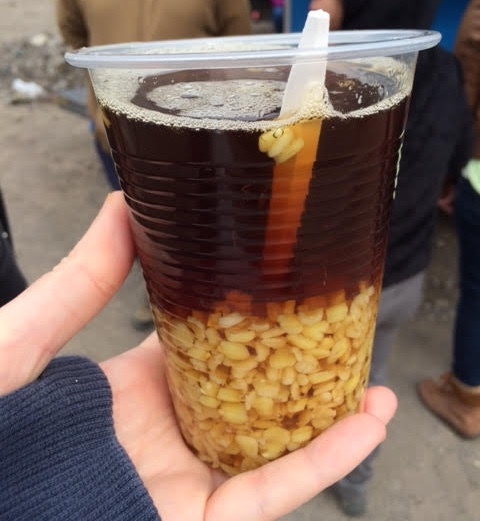 When a friend handed this to me, I said “What is it?” It’s called mote con huessillos, a very traditional Chilean drink + snack. At the bottom is a husked, cooked wheat and whole peach (pit still in). You eat that with the spoon, while sipping the juice, which is made of honey, water, and cinnamon. REALLY nice! Another Menu del Dia example, from a little village in the Andes. The starter was bruschetta, salad was sliced tomatoes and cucumber. 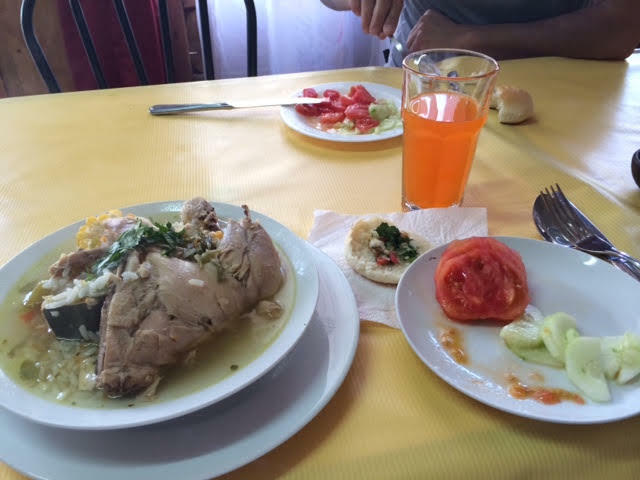 Main course was Cazuela — HALF A CHICKEN, with rice, potato, corn on the cob, and squash, all in chicken broth. 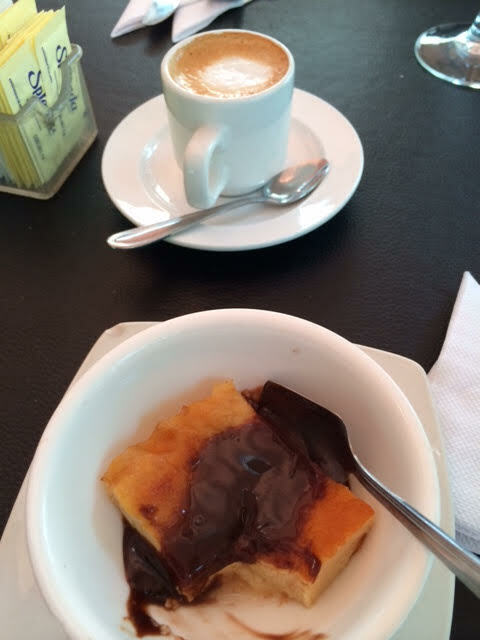 And dessert was…a banana! 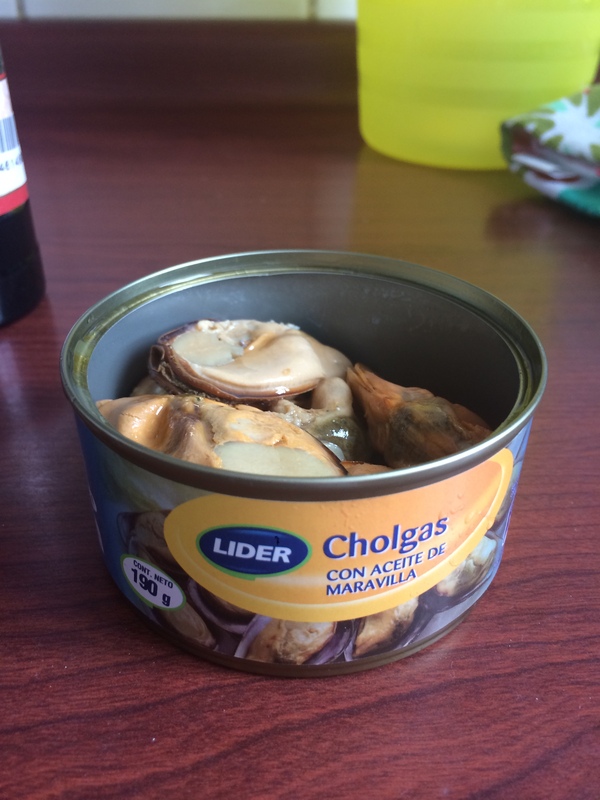 You can get mussels in a tin, like tuna! This makes me weep with happiness. 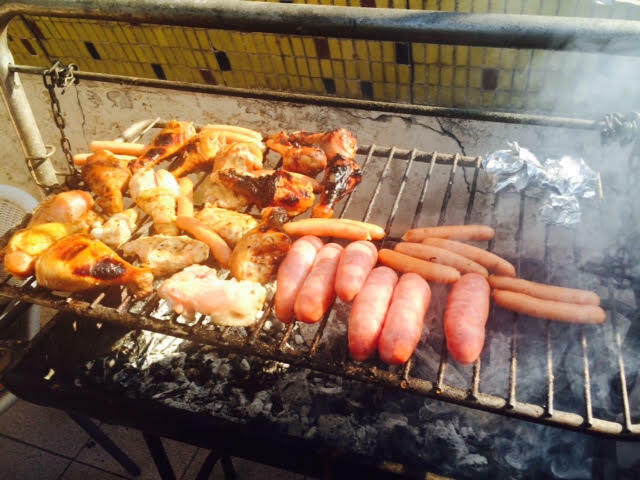 This was my first asado, the Chilean barbecue. NO VEGETABLES ALLOWED. 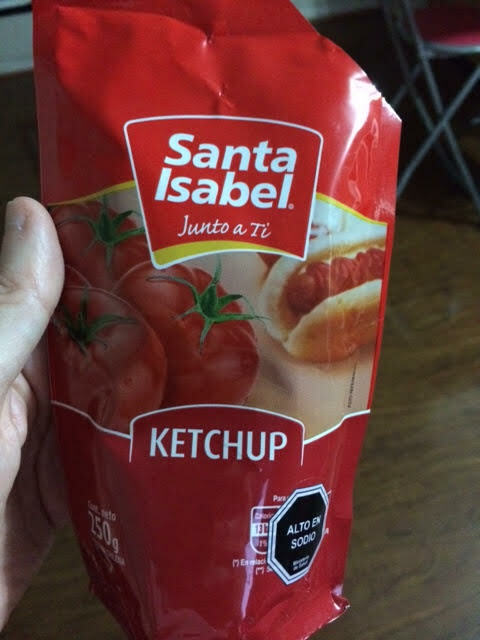 Ketchup. In a pouch. Why do I find this weird? A bottle isn’t more natural. It’s…just what I’m used to. 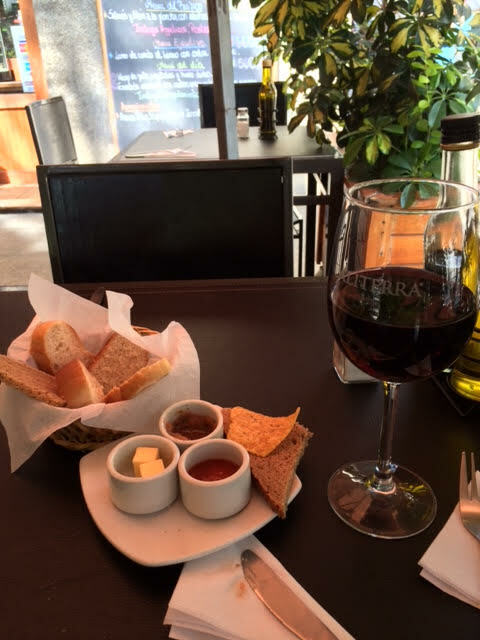 Marraquetas, Chile’s version of sliced bread. 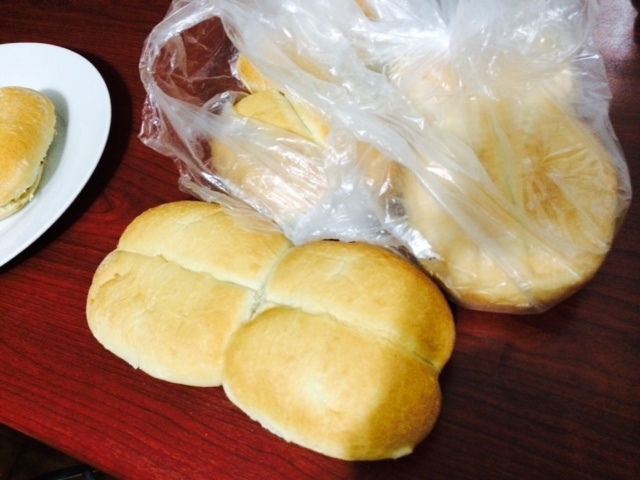 Which is not sliced, is precisely baked to come in 4s, and is more like a bun. Perfect for chorizo at an asado, for example. 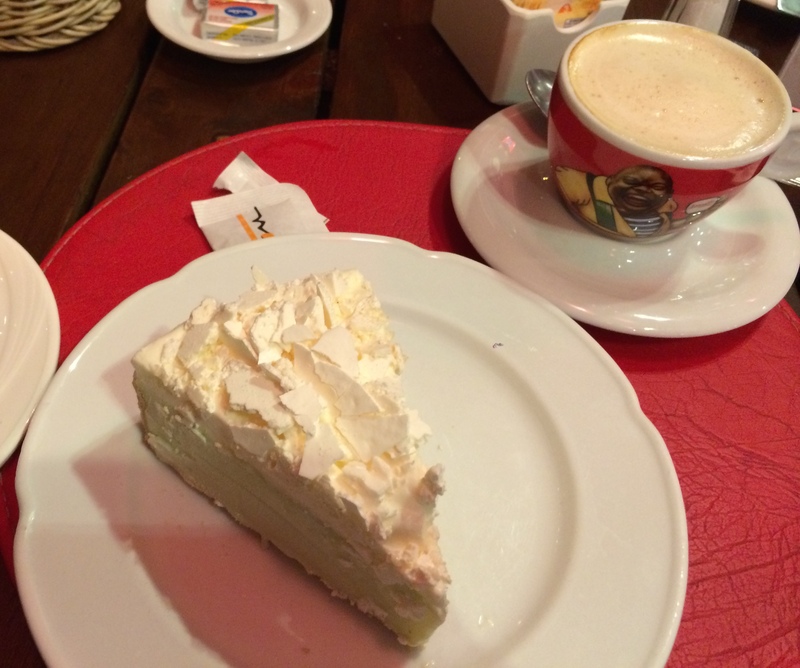 I admit to being confused by some Chilean words: in any other Spanish-speaking country, this would be torte de limon, but here, it’s pie! 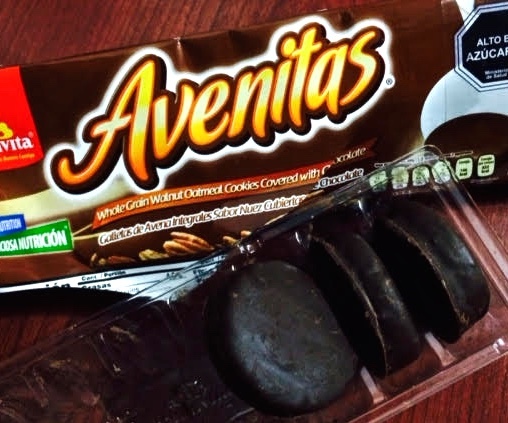 I can’t explain how good these cookies are. I’ll let their placement in the supermarket do it: These cookies can’t be found in the cookie section…but in the chocolate section. This. 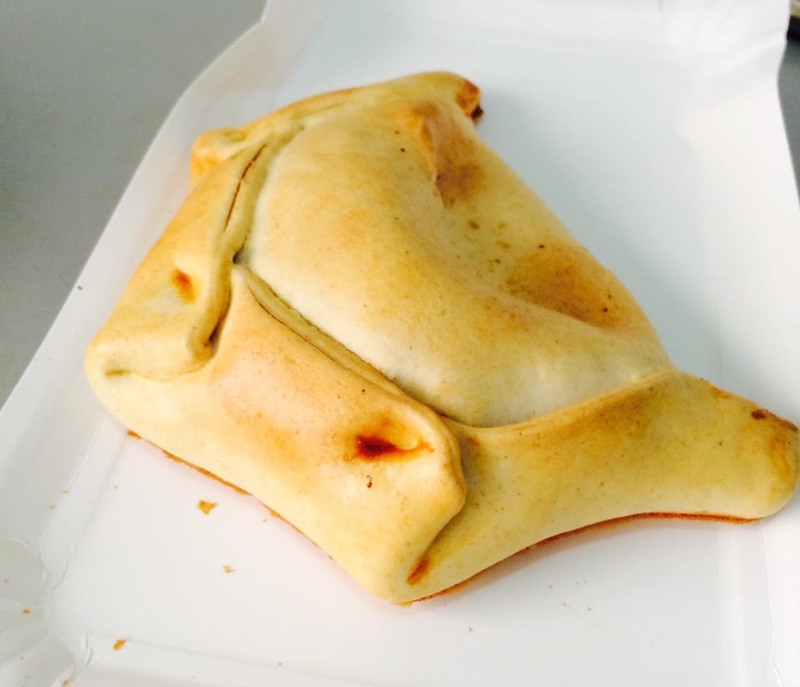 This is the glorious empanada, fast food of South America. 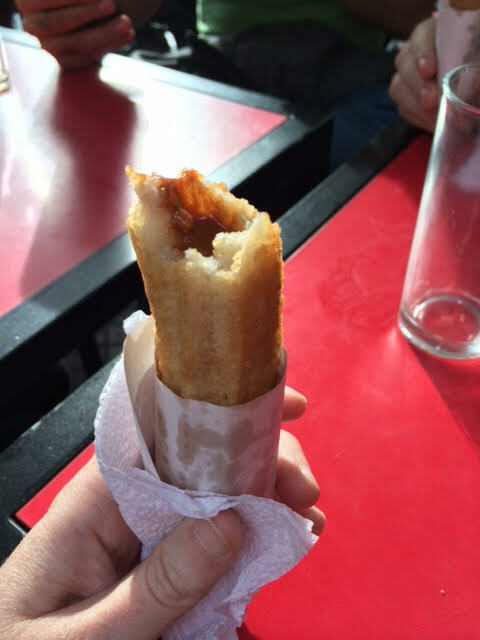 But putting this into the same category as McDonalds doesn’t do the empanada justice. 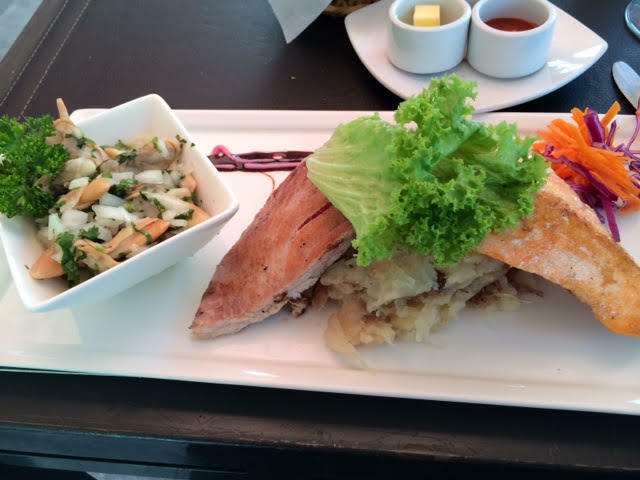 They can be filled with almost anything – cheese, chicken, beef, black olives, eggs, shrimp, mussels! – and they’re available everywhere. I’m busy so I eat take-out a lot here, but take-out is usually this, and there’s nothing here to complain about.